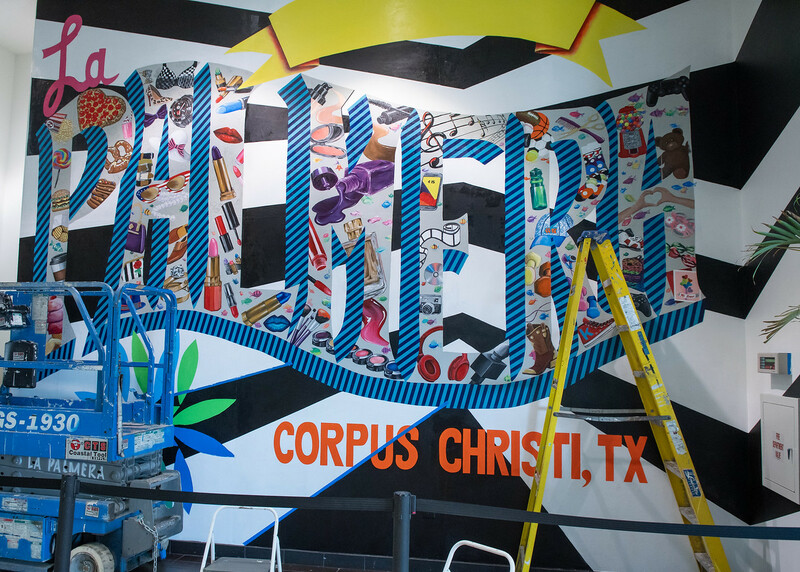 CORPUS CHRISTI, Texas – The landscape of Corpus Christi is changing – one wall at a time. 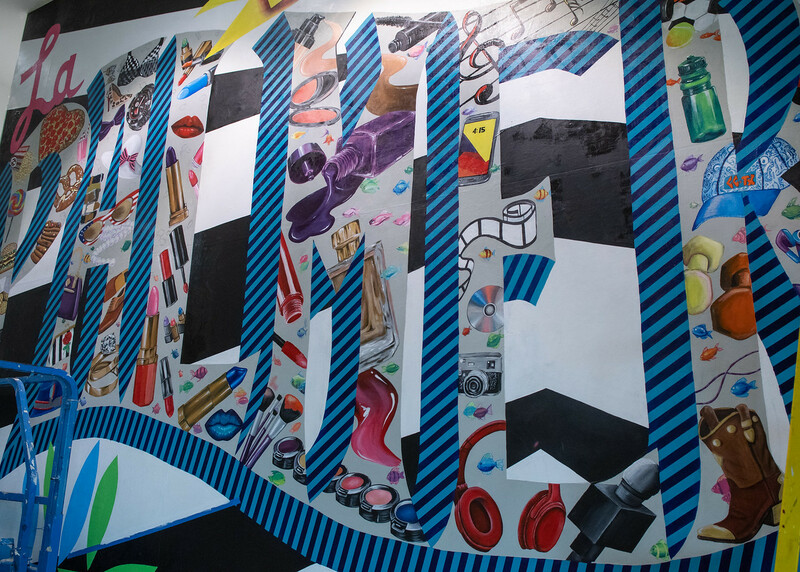 The city today looks very different than it did 10 years ago. 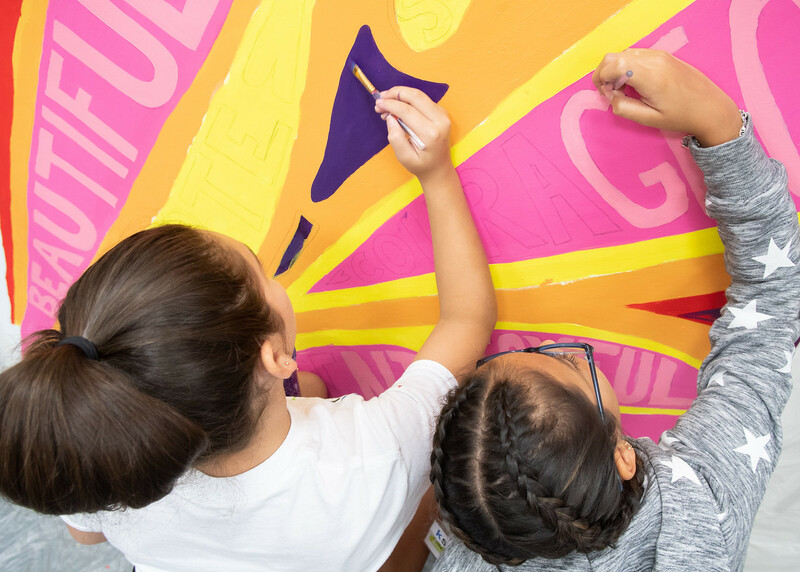 With a rapidly expanding arts movement, and murals cropping up all over the city, the “Sparkling City by the Sea” is gleaming brighter than ever. 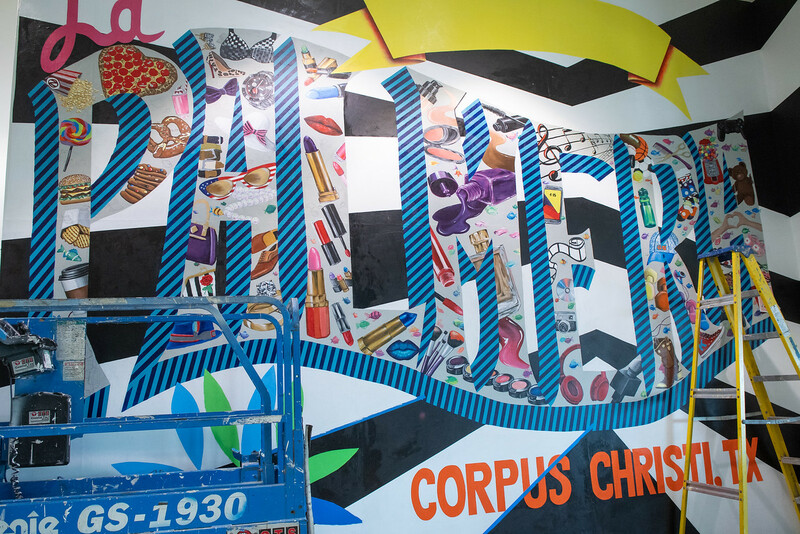 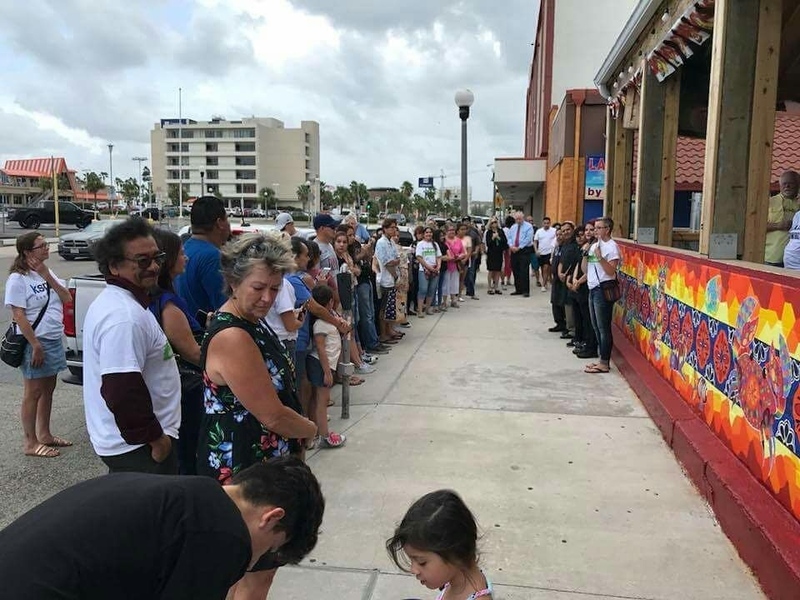 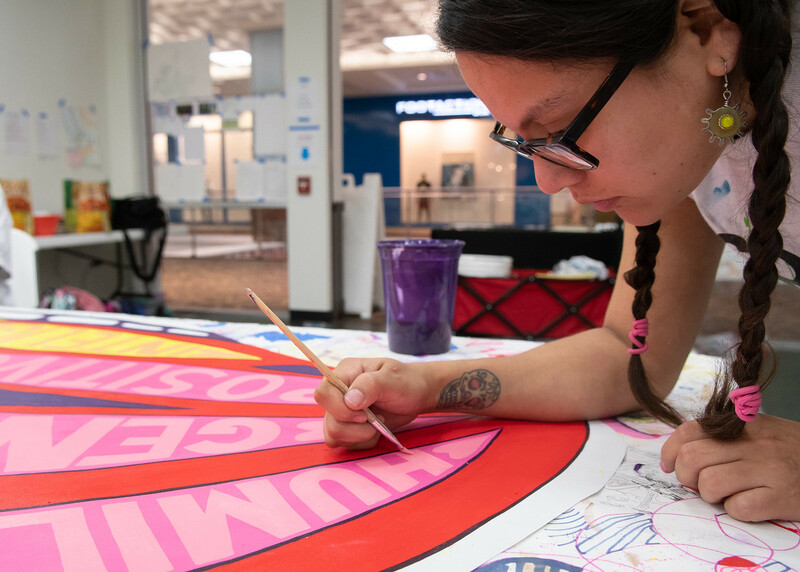 As this transformation occurs, Texas A&M University-Corpus Christi is proud to call many leaders of this new mural movement “family” – Islander family. 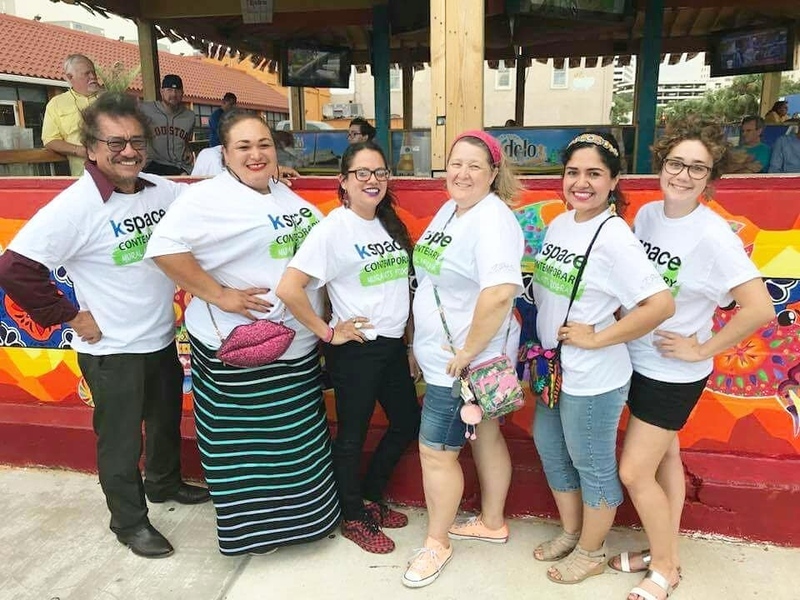 It all began when Islander alumna Sandra Gonzalez `11 returned home from Philadelphia to her alma mater. 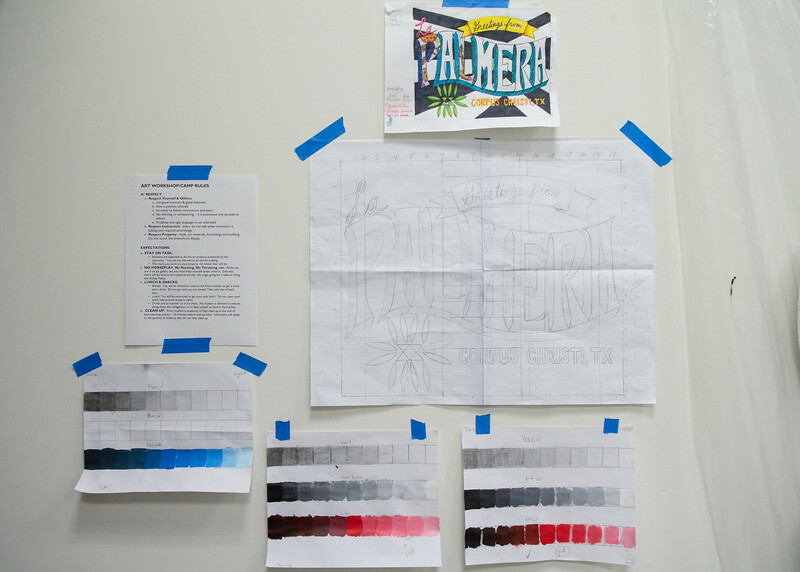 She brought with her knowledge and techniques from the Philadelphia Mural Arts Program, one of the leading mural arts entities in the nation. 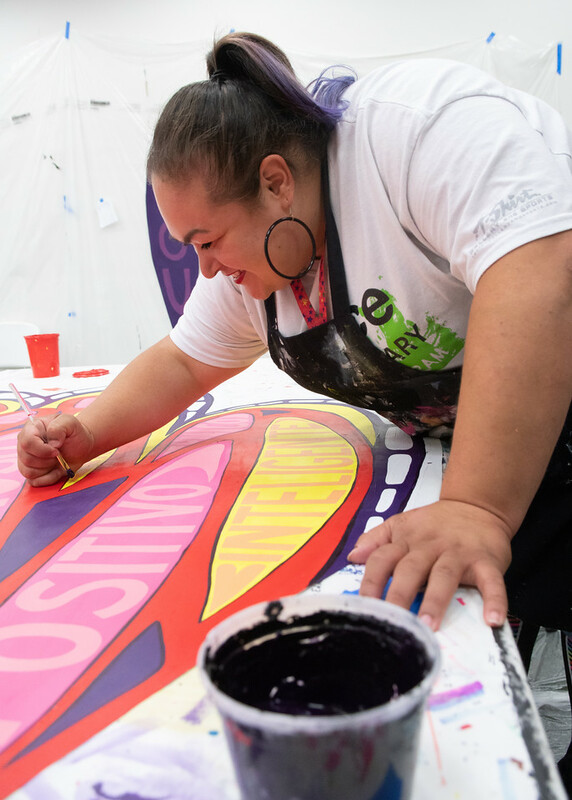 As she led the way, other members of the Islander family picked up the torch to follow suit. 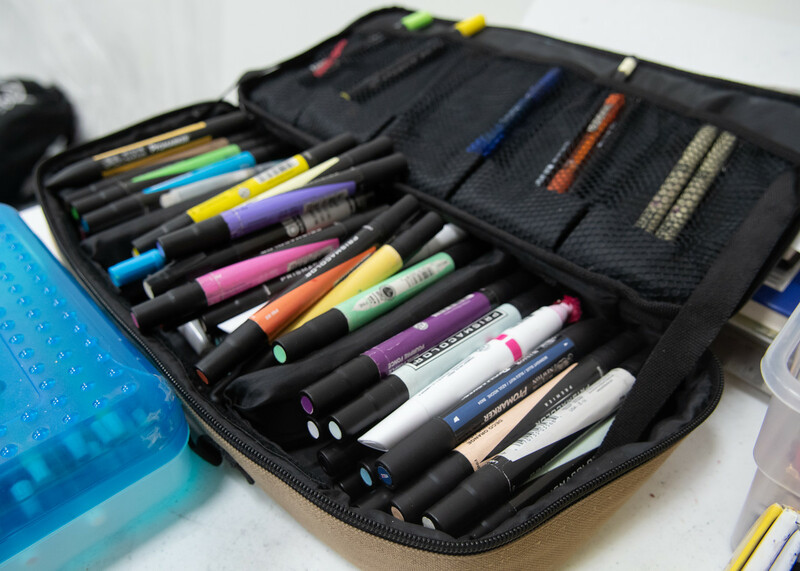 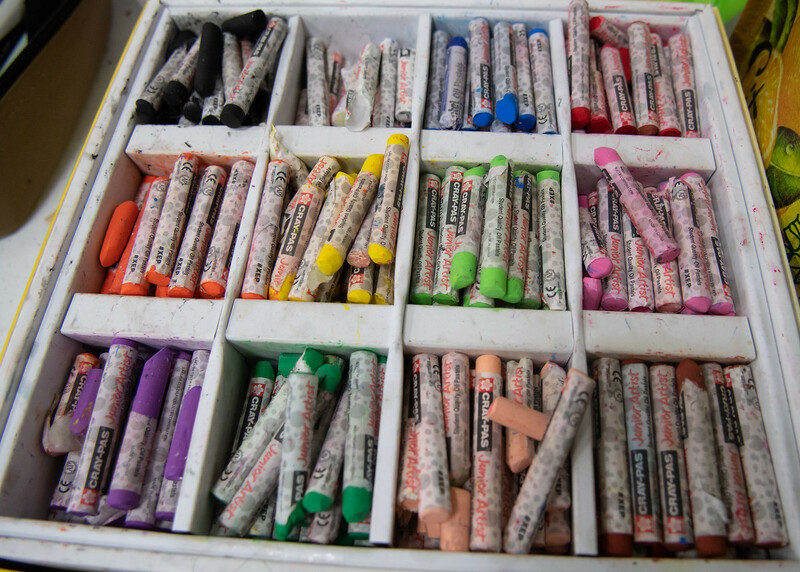 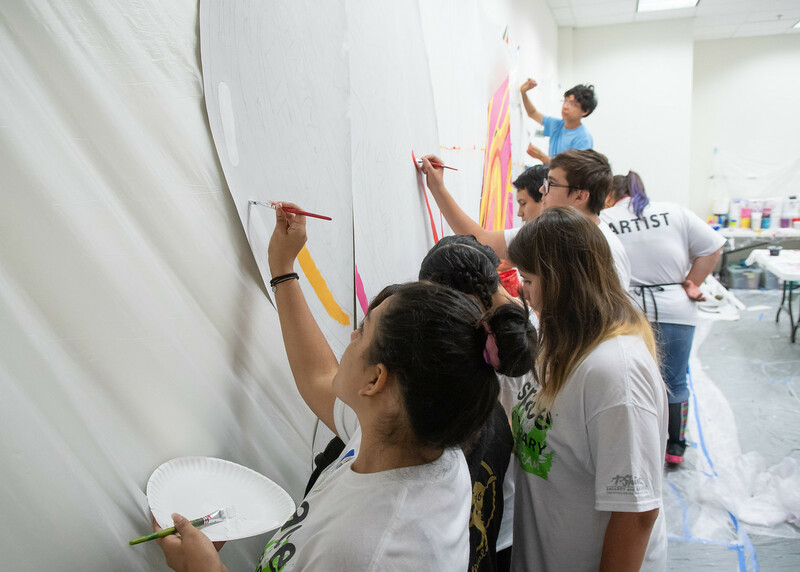 Now, whether they be alumni or professors, Islanders are beautifying the Coastal Bend community while passing the love of art to the next generation of creators. 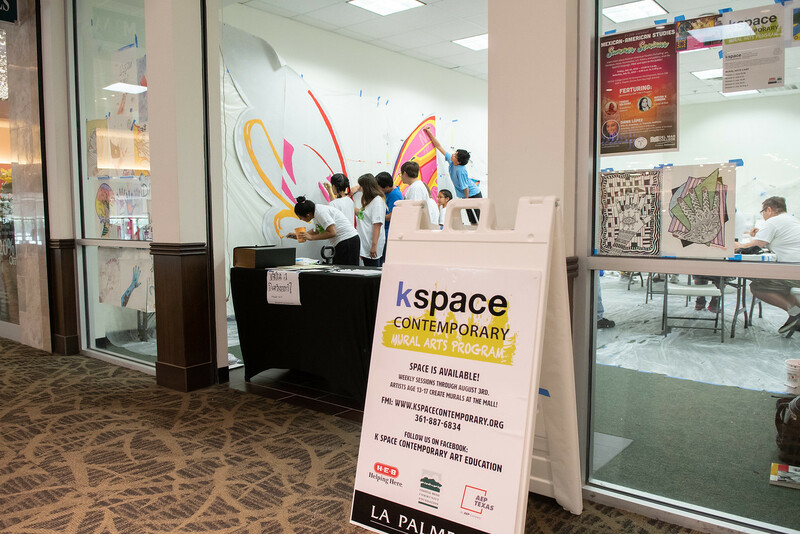 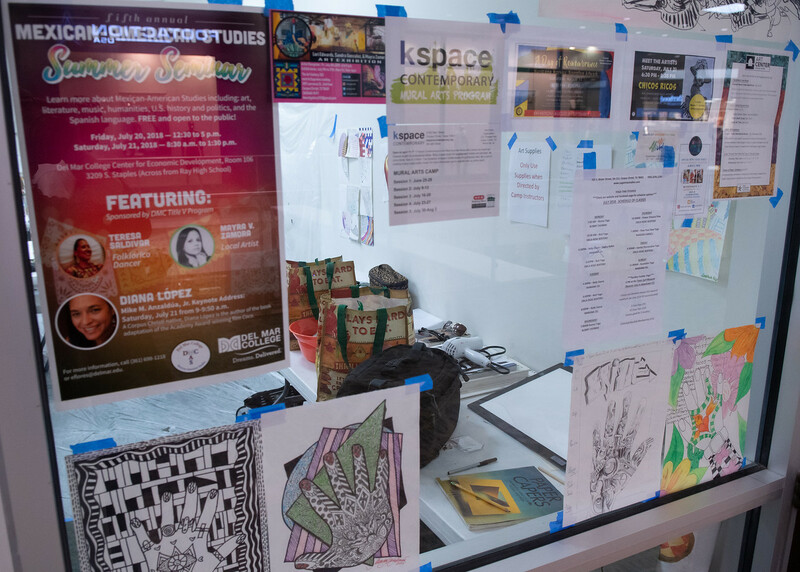 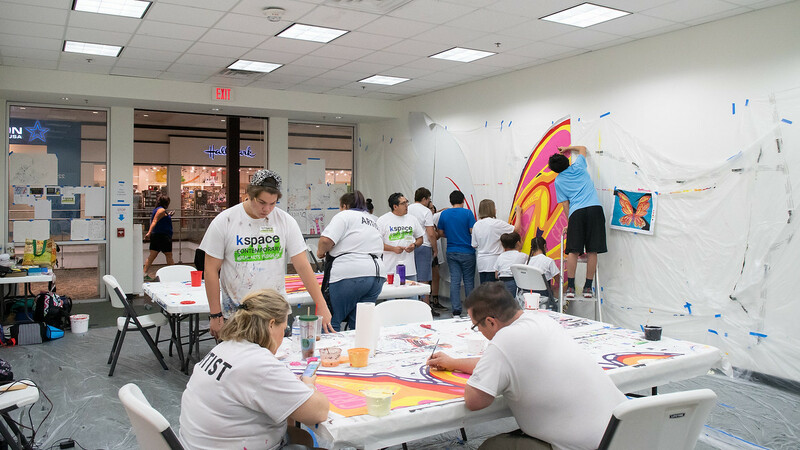 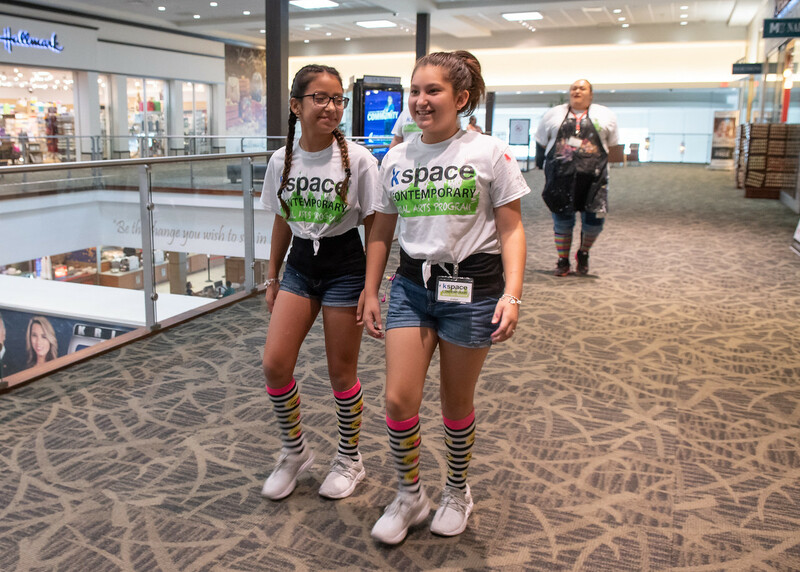 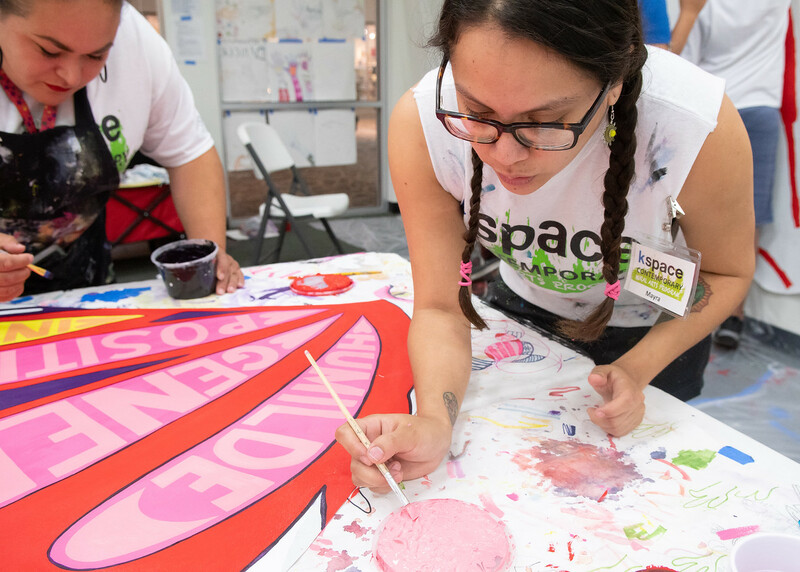 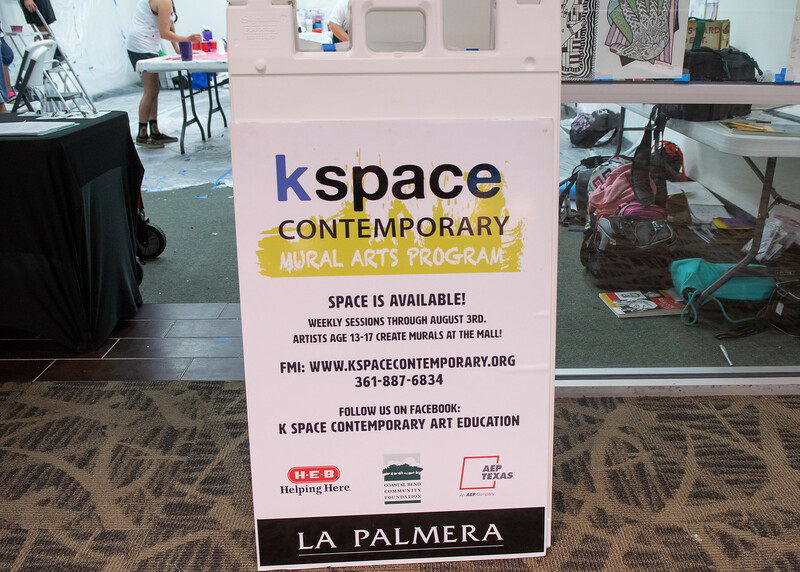 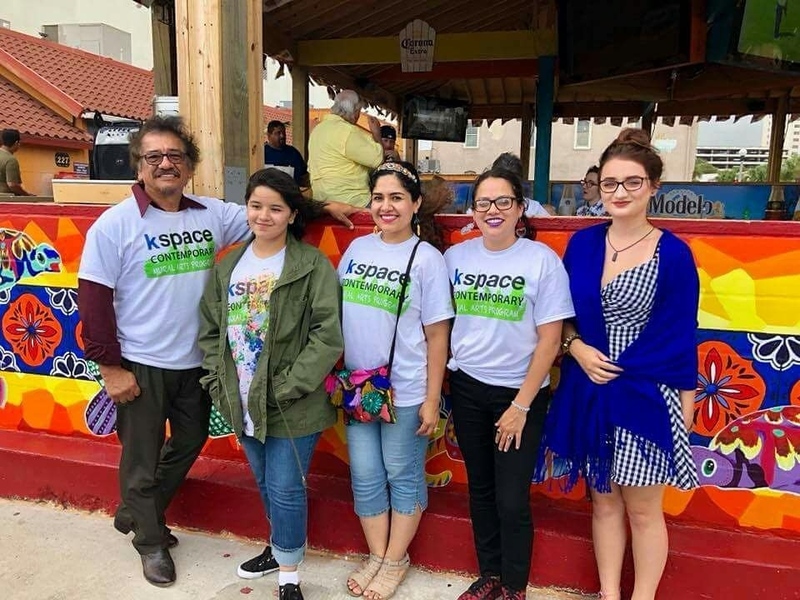 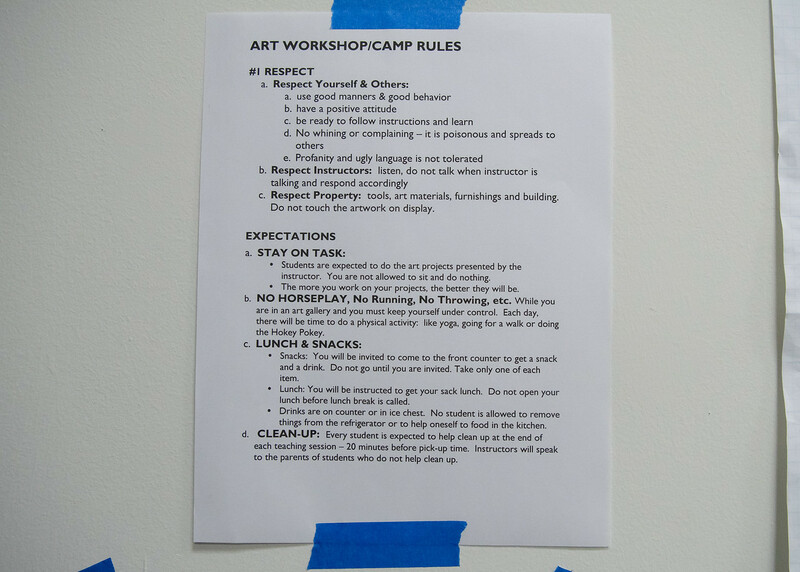 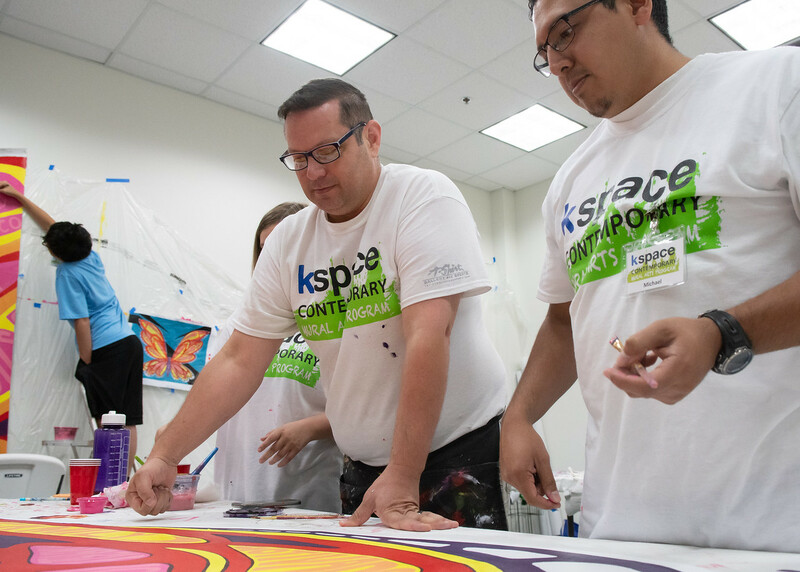 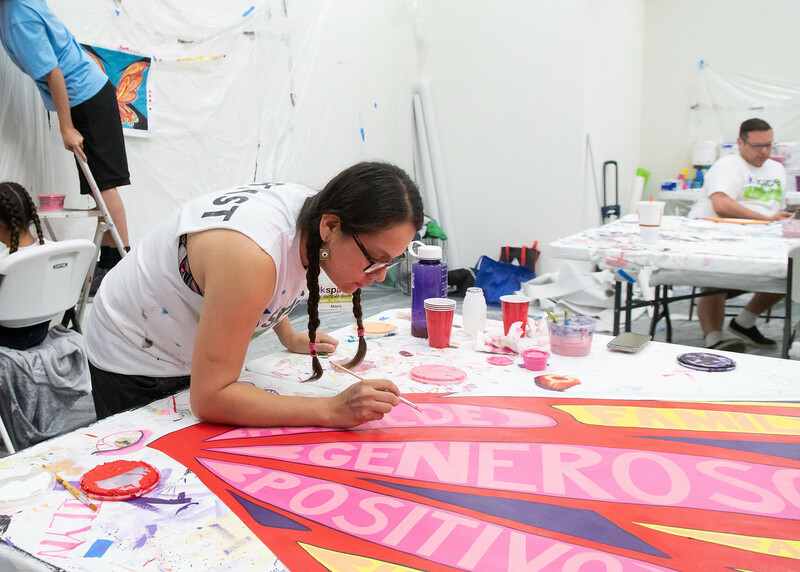 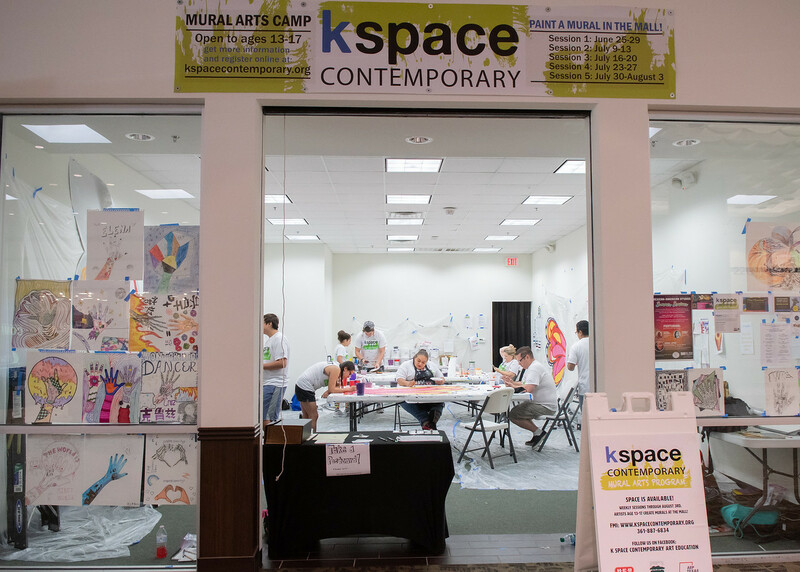 In fact, that was the exact goal of the recent K Space Contemporary Summer Mural Arts Camp, led by Gonzalez, and other alumns like Monica Marie Garcia `11, `14, and Mayra Zamora `10, `14. 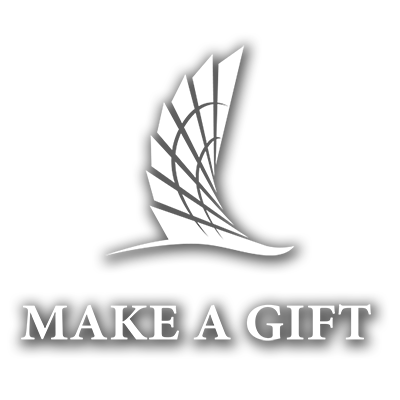 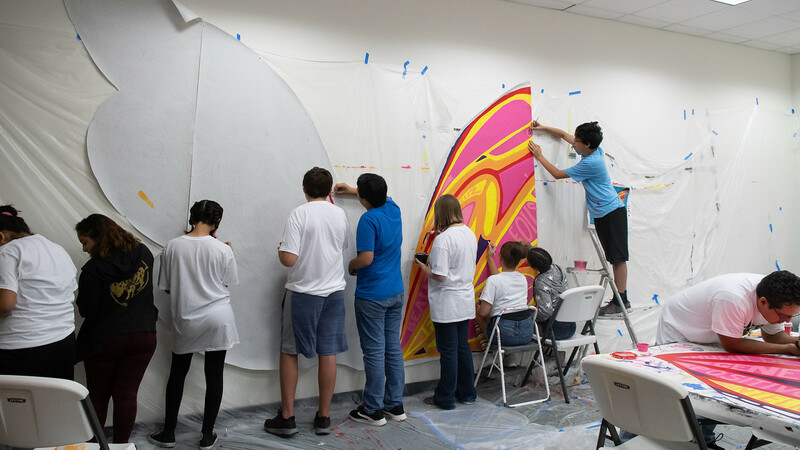 Additional instructors included Tony Armadillo, Lori Edwards, and Katherine Holmes. 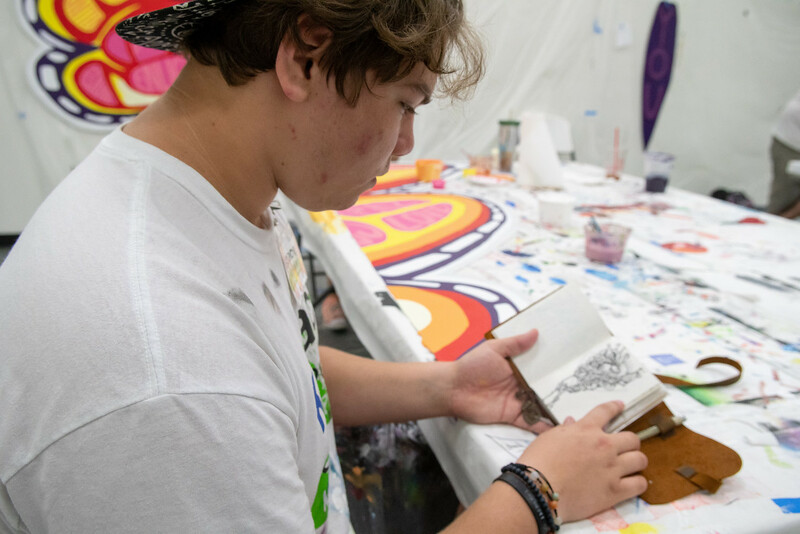 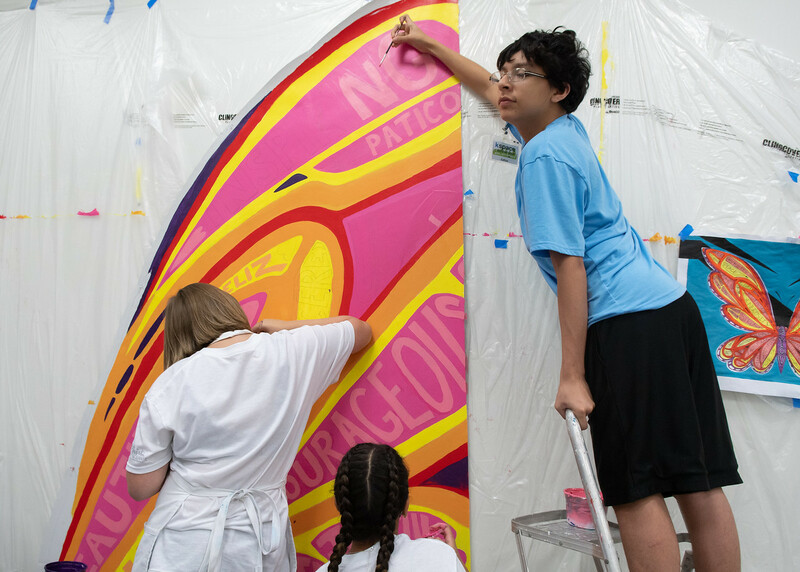 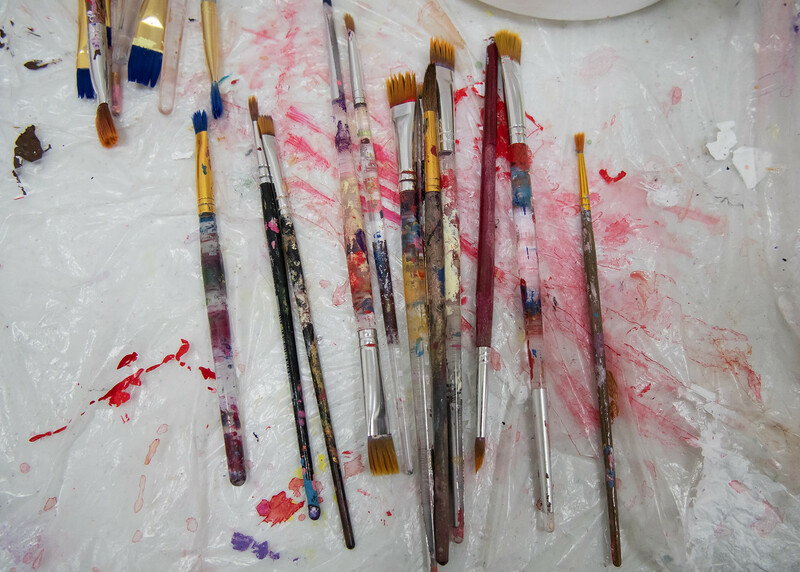 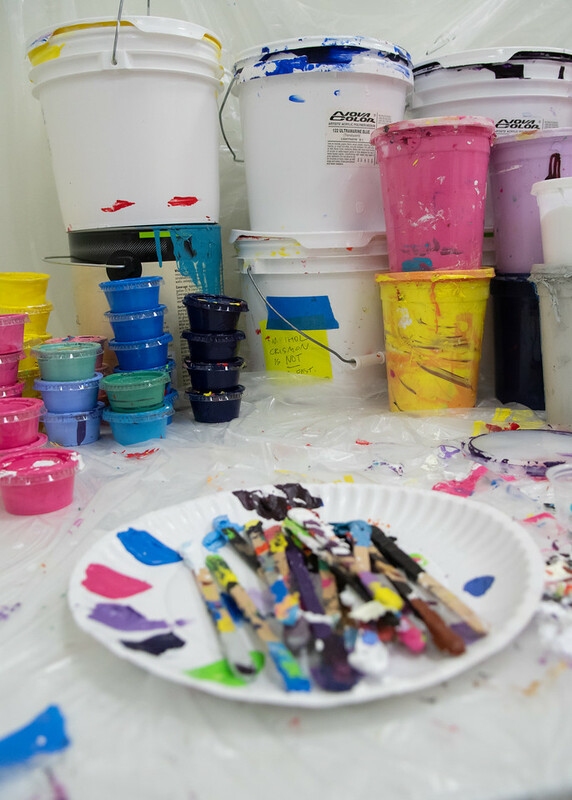 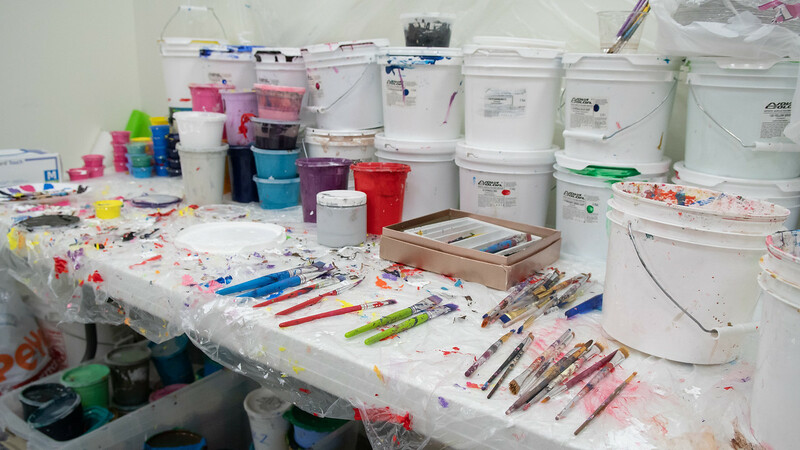 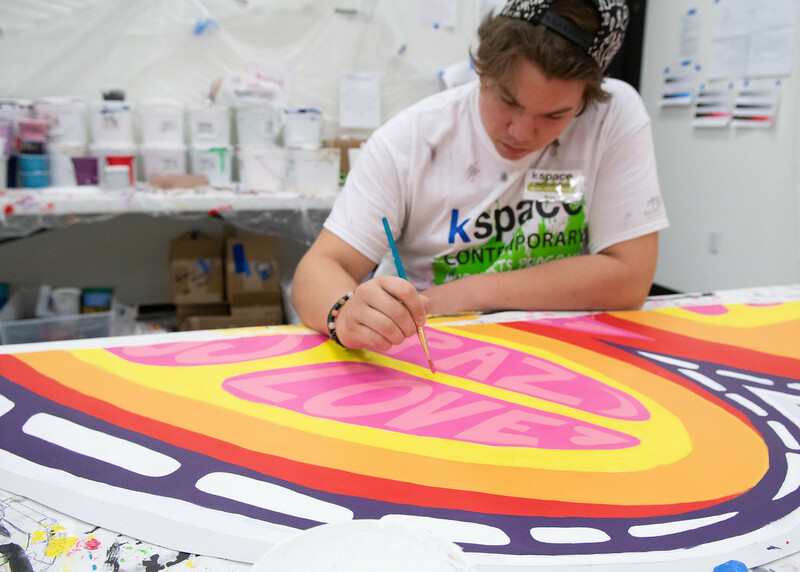 The camp offered youth a hands-on experience creating a mural from beginning to end, while also teaching color theory, value scale, critiques, and cutting-edge mural-making methods. 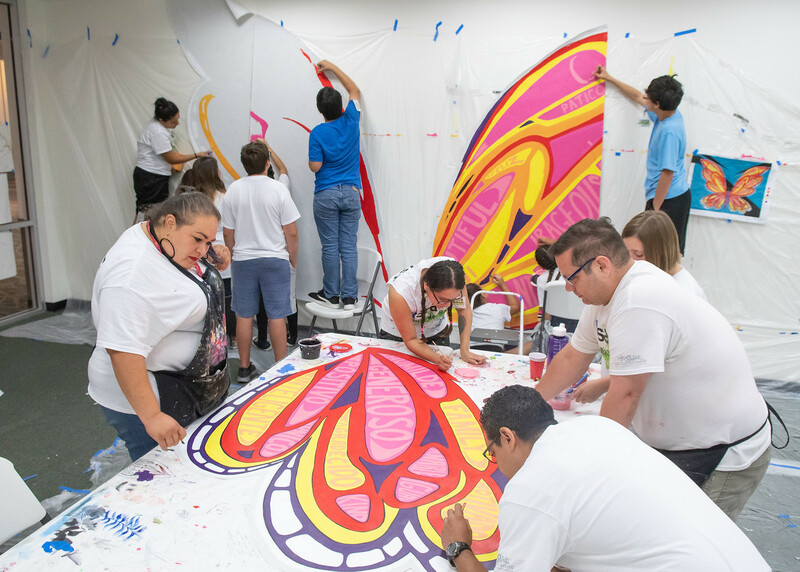 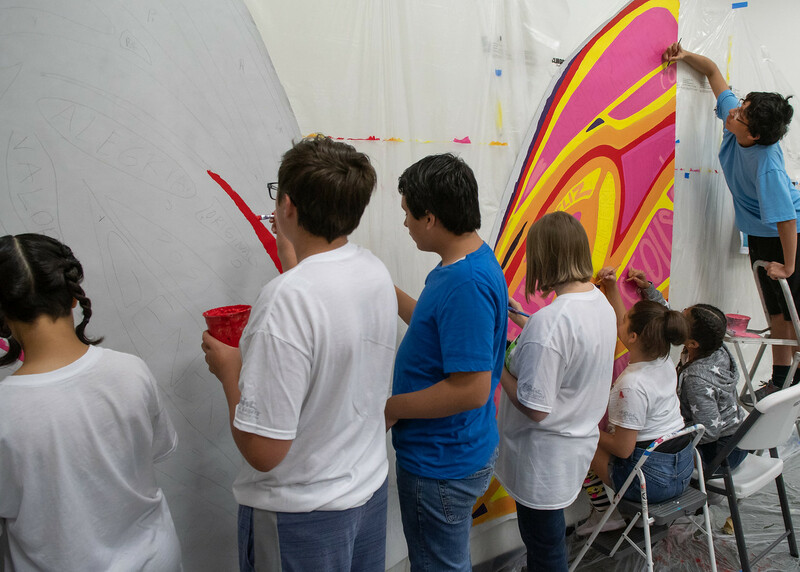 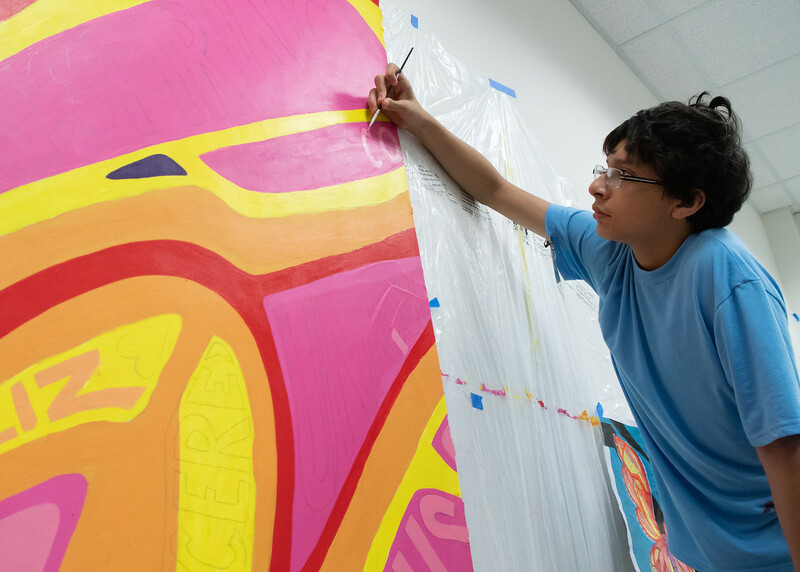 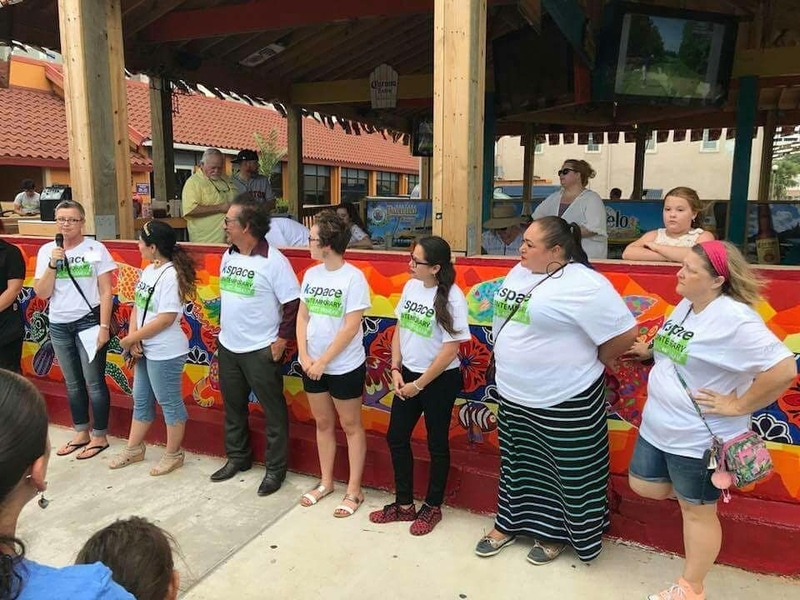 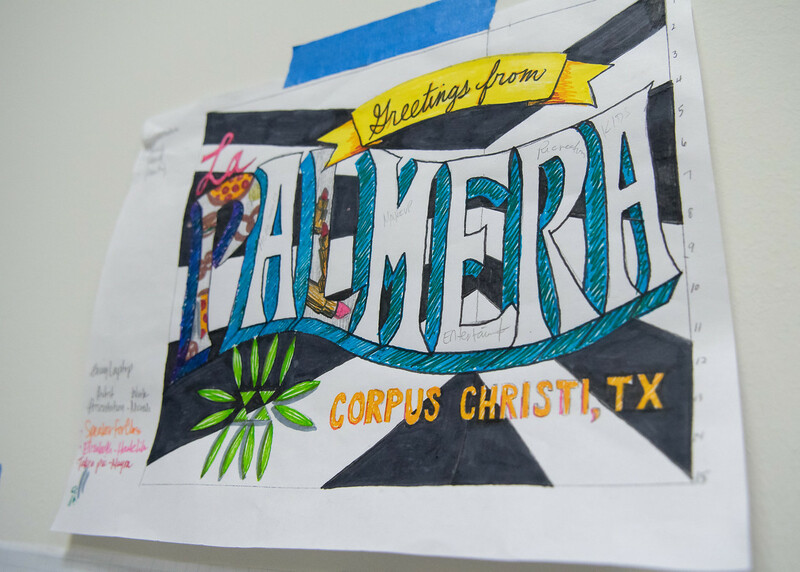 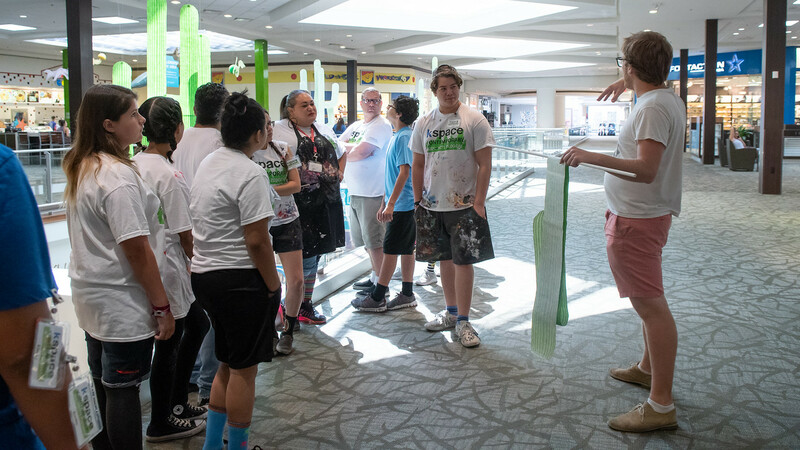 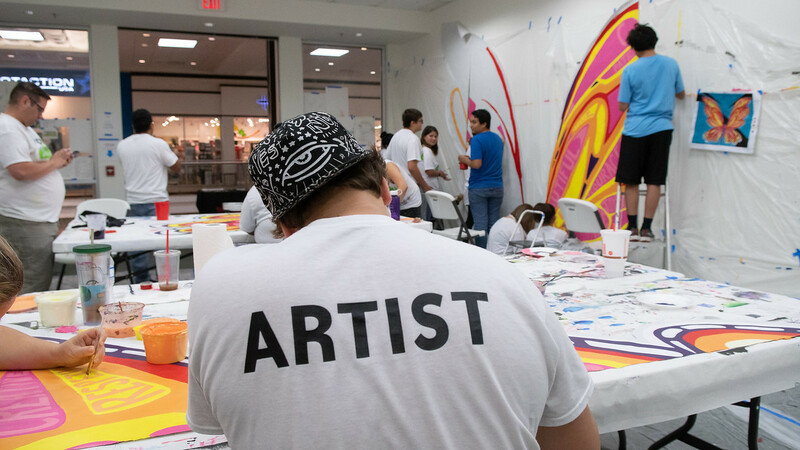 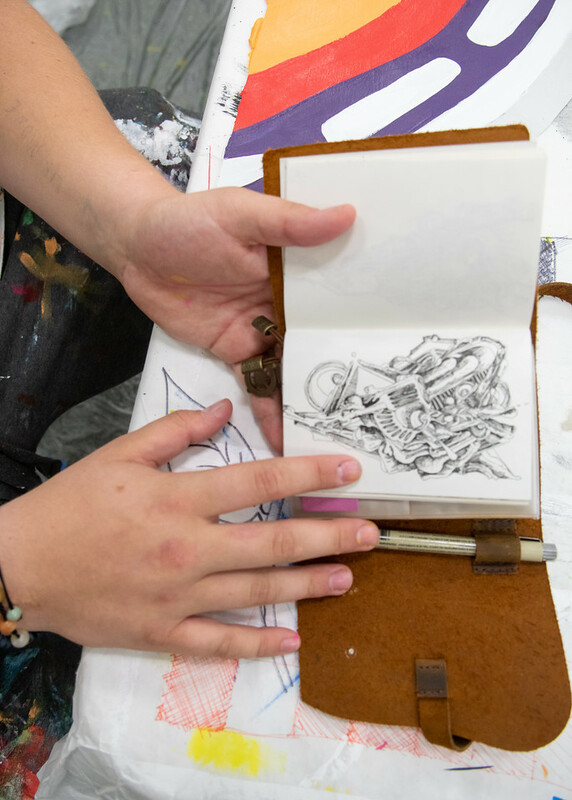 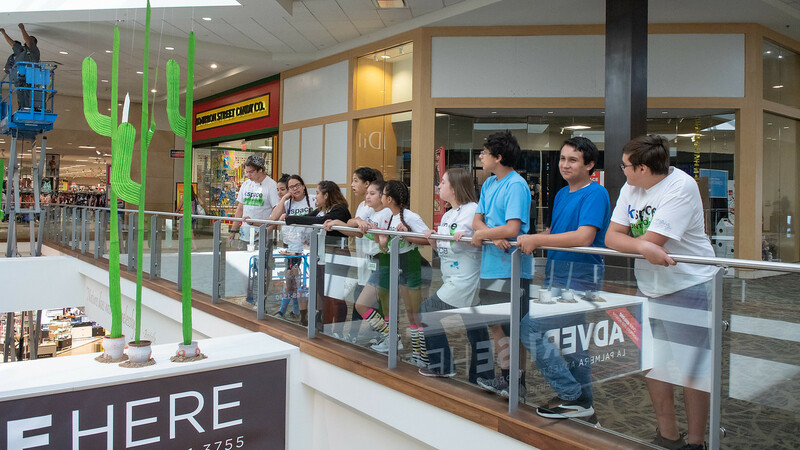 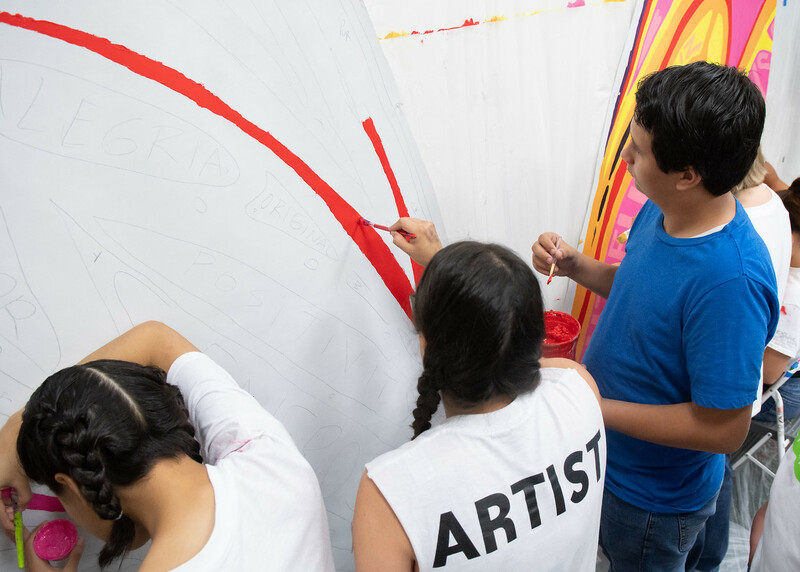 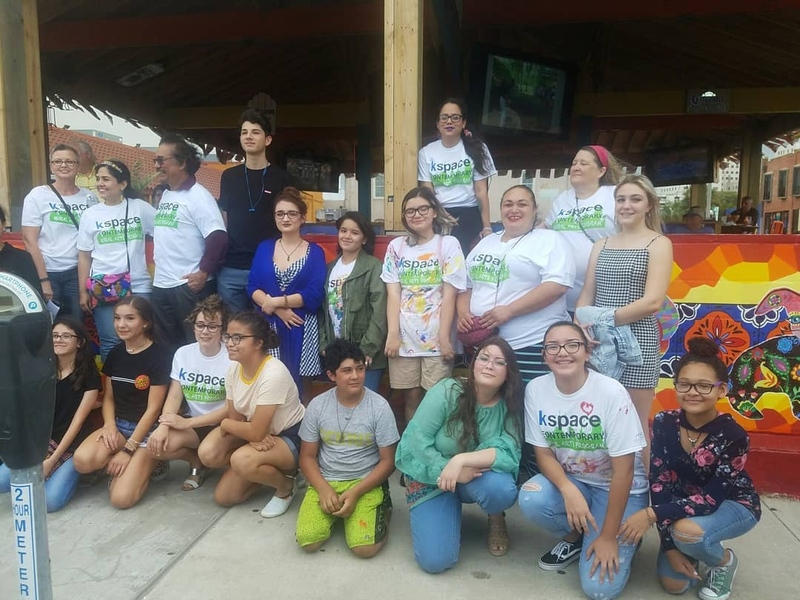 Over the course of the summer, camp-goers helped with the sketching, painting, and installation of two murals at La Palmera and one in downtown Corpus Christi. 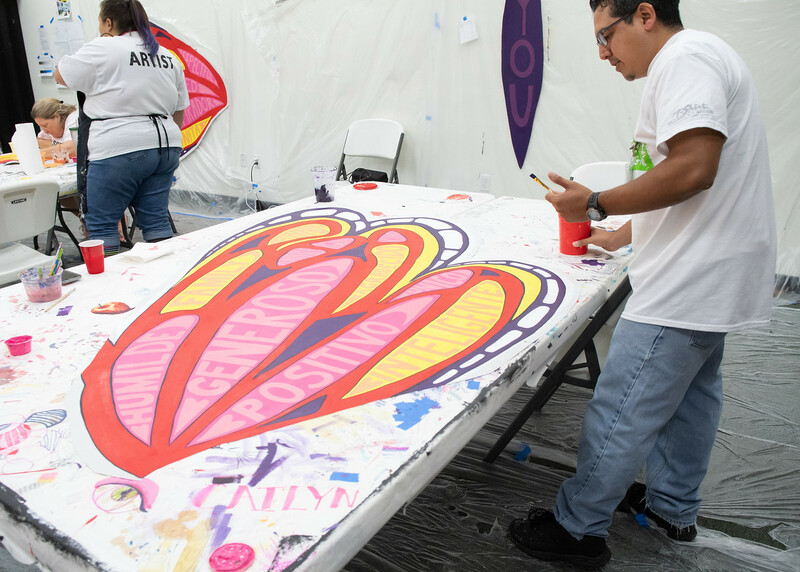 Each mural carries with it a different message. 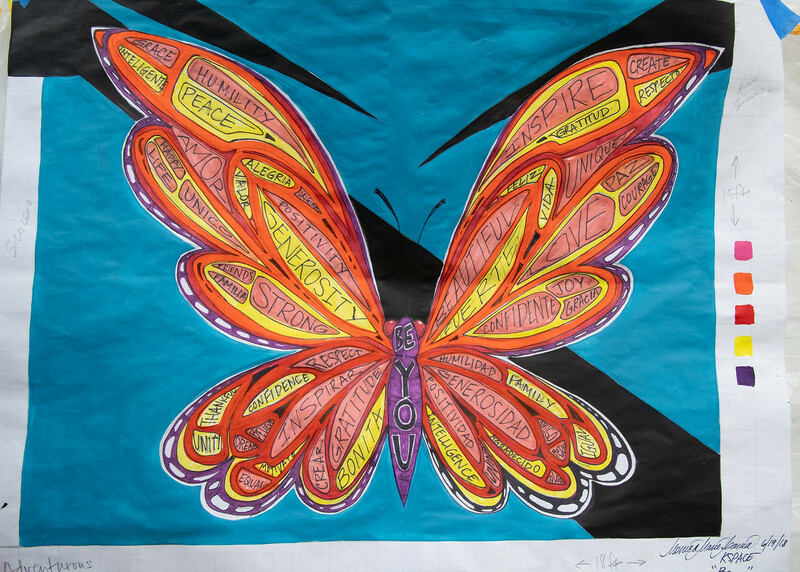 ‘Be You,’ features a butterfly, gold and pink wings stretched wide and filled with words of strength and encouragement – both in English and Spanish. 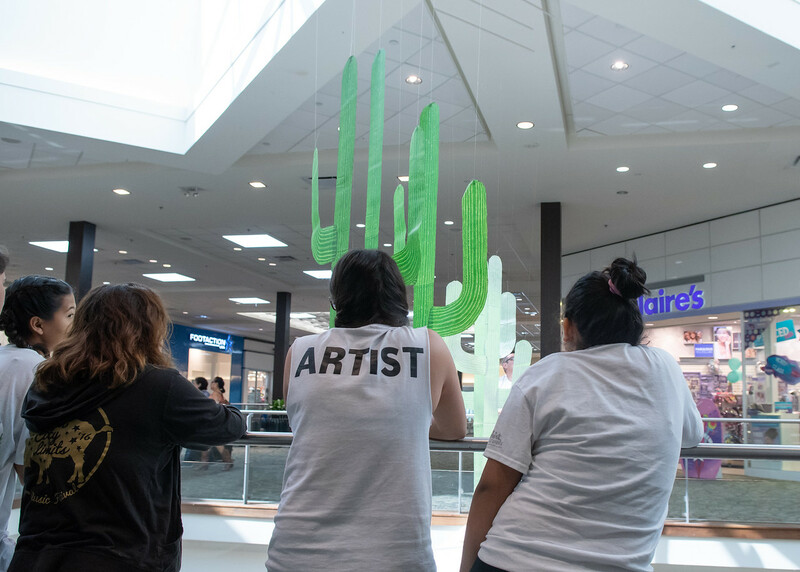 ‘Greetings From,’ offers a friendly and cheerful welcoming message to mall visitors. 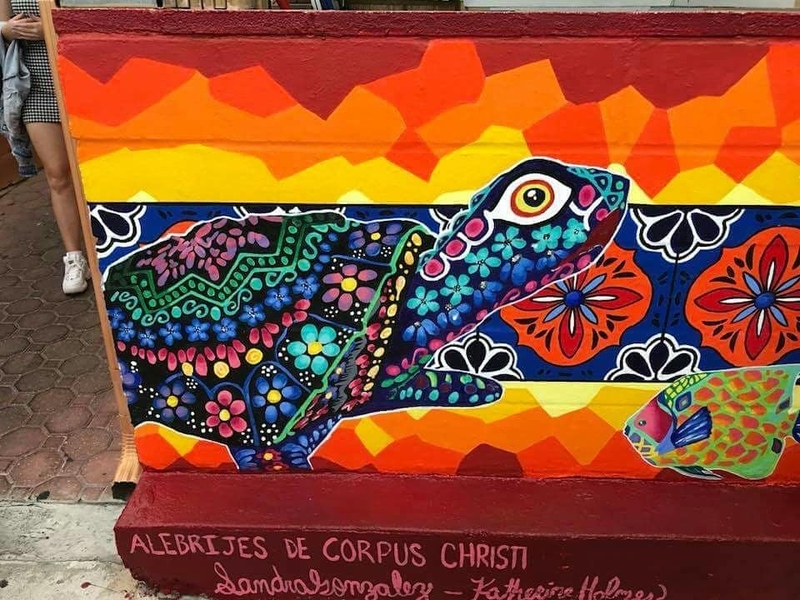 ‘Alebrijes de Corpus Christi,’ located downtown on the corner of Water St. and William St., creates beautiful contrast between bold crimsons, oranges and yellows and deep blues – all while featuring local wildlife. 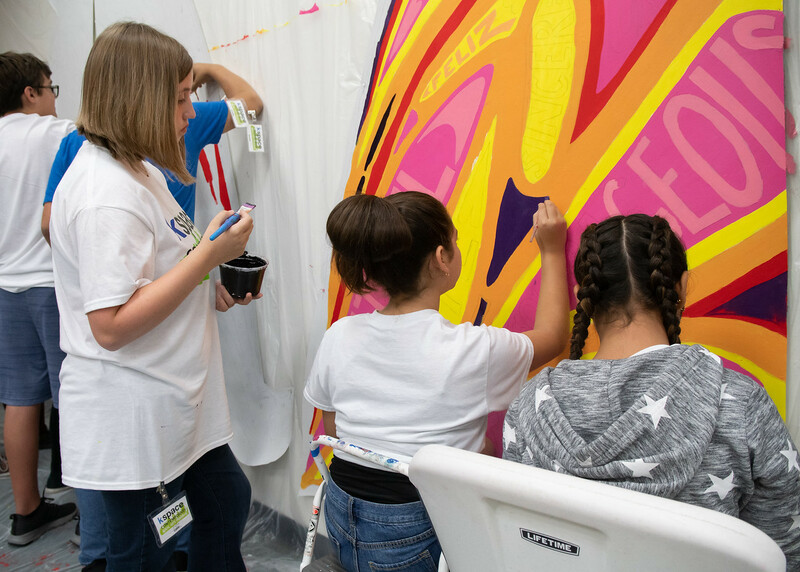 Each mural is larger than life, bursting with vibrant color and contributes to the revitalization of an entire community. 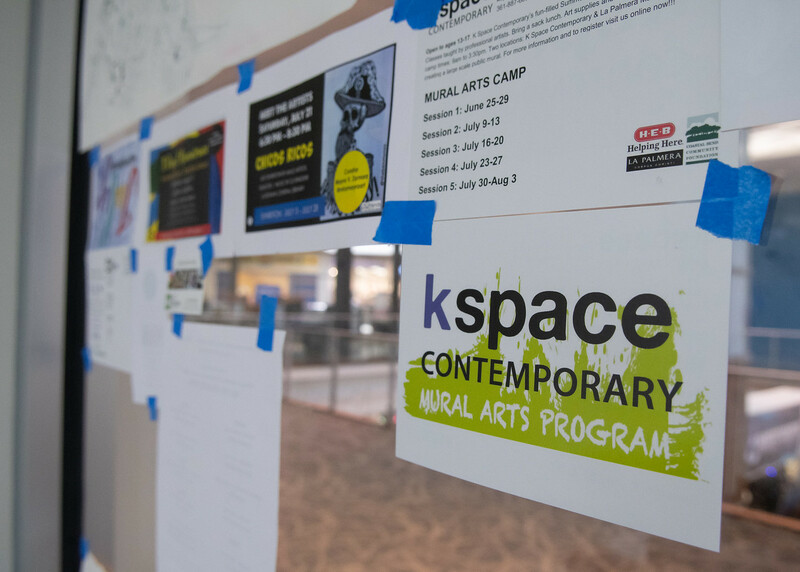 In the last 10 years, artists affiliated with K Space Contemporary have created 19 murals, shared their education director, Cheryl Votzmeyer `14.